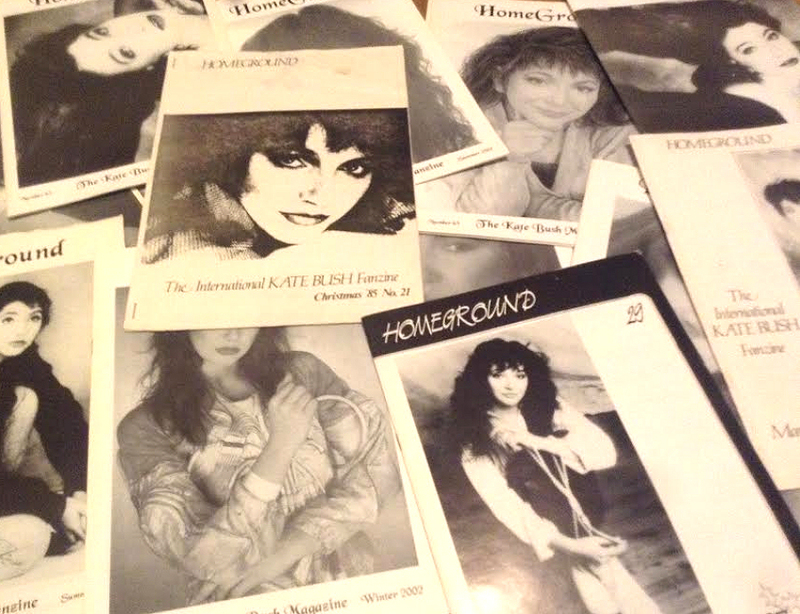 The longest running Kate Bush fanzine, which started in 1982. The final printed issue, number 79, was published in 2011. It was run by Krystyna Fitzgerald-Morris, Peter Fitzgerald-Morris and Dave Cross from the UK. The fanzine was conceived in Dave Cross's flat in May 1982. 25 copies were run off an office photocopier. Through the years, the fanzine was produced with ever more professionality and in fact got the support of Kate and the people around her. Fans contributed stories, artwork and poetry, while the editors followed every detail about Kate in the press worldwide, even during quieter times. In 2014, two big books summarizing the impressive output of the fanzine were released by Crescent Moon Publishing: HomeGround Anthology volumes 1 and 2. It is a detailed look at Kate's career through the eyes of fans around the world, along with the aforementioned artwork, poetry and prose from fans.